All incoming, first-year students must live in University-approved on-campus housing and purchase an All-Access meal plan. This policy is in effect for the entire academic year. 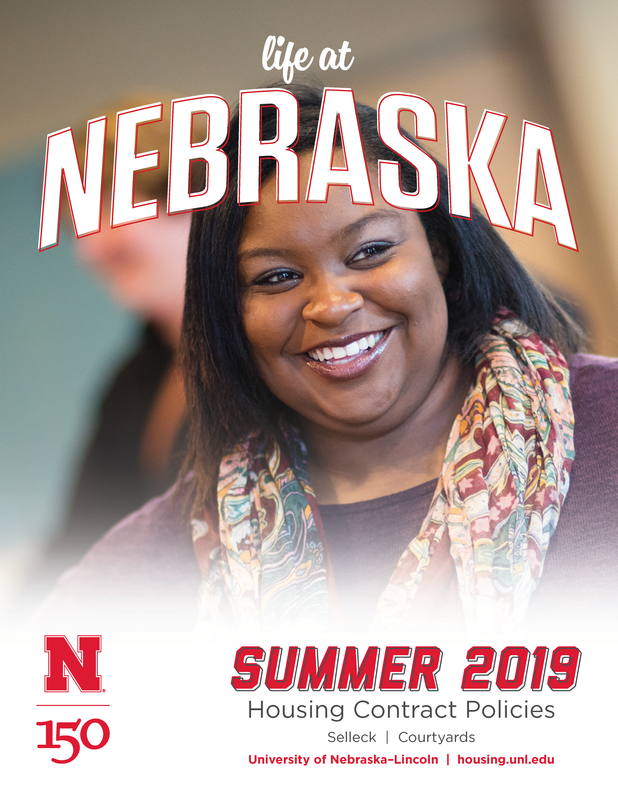 All unmarried students enrolled for six or more credit hours, and are under the age of 19 prior to the first day of the fall semester of the current academic year*, are required to reside in on-campus housing. *2019-20: Classes begin Monday, August 26, 2019. 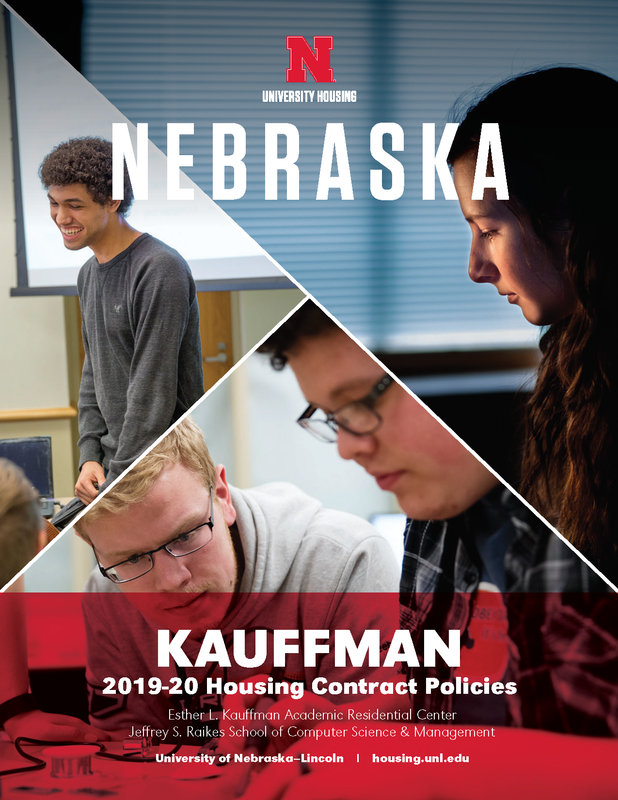 The University of Nebraska–Lincoln believes students who stay in University Housing will benefit from the residential living experience as an integral part of student engagement and educational success. Studies have shown on-campus residents are more likely to succeed in academics and benefit from the social opportunities being offered. Research at colleges and universities across the country indicates students who live in on-campus housing are significantly more likely to succeed academically, be involved in activities on campus, to graduate, and to feel positive about their college experience when compared to their off-campus peers. By living in university residence halls, students will reside in a safe and secure environment while being able to more conveniently access university resources such as the library or technology laboratories. 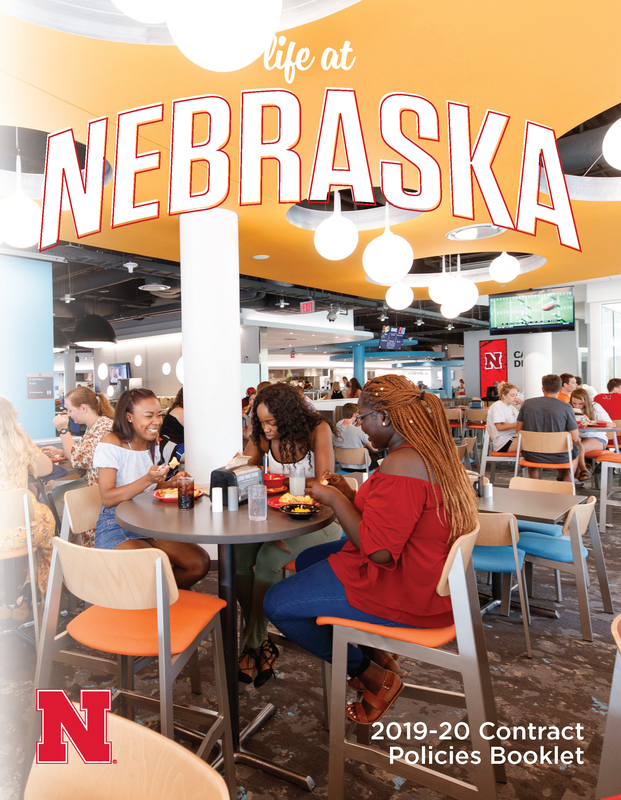 For these reasons, like many public and private colleges and universities, the University of Nebraska–Lincoln has implemented an on-campus residency requirement for first-year undergraduate students to live in university residence halls unless an exemption is granted. Completed/transferred 27 or more accepted semester hours of post-secondary education PRIOR to the first day of classes (Monday, August 26, 2019). Married or Civil Union. Documentation of marriage/union required. A student with children. Documentation of childbirth certificate required. Lived in University-approved housing for two or more semesters (excluding summer) at the University of Nebraska–Lincoln or another institution. Documentation of living at another institution required. Lived in University-approved housing for the entire spring semester at the University of Nebraska–Lincoln. What if I feel I have a special circumstance? To request a special circumstance, complete the exemption form in your Housing Portal and email a DETAILED summary of your circumstance and documentation to verify your circumstance. We can’t guarantee that you’ll be released from the residency requirement. Allow four to six weeks for a response/decision. How do I apply for an exemption or one of the other options? Complete the Compliance/Exemption Request Form*. If you’re not approved, you must complete a University Housing contract through the housing portal. Allow four to six weeks for a final response/decision. Cancellation fees will apply if you have a signed contract with University Housing. What fees are associated with exemptions? If you have a University Housing contract and are then approved for an exemption or other compliance option, there will be cancellation fees associated with the cancellation of the contract. Financial Aid award budgets will be adjusted to reflect that the student will be commuting if approved through the exemption process. Reside in a University Housing residence hall. Reside in University-approved housing. This includes approved fraternities, sororities and other approved co-operatives. Incoming students who plan to reside in a university-approved fraternity/sorority don’t need to complete* the Compliance/Exemption Request Form but do need to contact Office of Fraternity and Sorority Life to make arrangements. Fraternity and Sorority houses are not part of University Housing. If you cancel your University Housing contract to reside in a fraternity/sorority house, cancellation fees will apply. To obtain information about fraternity or sorority living units contact the Office of Fraternity and Sorority Life. *If the student isn’t on the lists University Housing receives (on or before August 15) from the Office of Fraternity and Sorority Life, then they will need to complete the Compliance/Exemption Form. Commute from the home (must be within 30-mile radius of the UNL campus) of my parent(s), guardian(s), sibling(s), aunt(s)/uncle(s), or grandparent(s). All relatives must be adults 19 years of age or older and living in the residence the student is residing. Proof of address required (two different pieces of mail postmarked in the last 30 days that are in the adult’s name with the address where the adult and student will reside or a copy of relative's driver’s license). Commute from home as an emancipated minor. Documentation to verify legal emancipated status required. Commute from the site of employment/internship. Documentation verifying condition of employment/internship required. How do I know if I am within the 30-mile radius? We use https://ezlocal.com/tools/map-radius/ to determine a 30-mile radius from our campus zip code, 68588. Complete a University Housing contract through the housing portal. Complete the Compliance/Exemption Request Form*. If you’re not approved, you must complete a University Housing contract through the housing portal. Please allow four to six weeks for a final response. *If you've checked into your residence hall (picked up keys), you'll need to submit the form and then meet with your residence director to go over the appropriate process/procedure for cancelling your contract. What if I don’t comply with the residency requirement? Students who don’t comply will have their University records (including financial and academic records for registration and transfer) placed on hold and/or face other judicial sanctions. In addition, students may be assessed a $100 administrative fee on their centralized student bill. 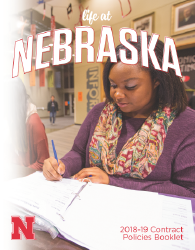 If you have questions or concerns, please call us at (402)472-3561 or email us at housing@unl.edu.